Home > Free Samples Australia > Food & Drink Free Stuff > Request your FREE Personalized Woodford Reserve label! Request your FREE Personalized Woodford Reserve label! When did your story begins? Woodford Reserve wants to know to offer you a free personalized label bottle of its famous drinks. Go to offer and enter your birthday date and country to be directed to the order link. Type your own personalized label for your bottle of Distiller’s Select. the delivery will take between 7 to 10 days. Don’t forget to scroll down and complete the online form. Make sure you provide the right home address, phone number, and a valid email. The best gifts comes in small batches. 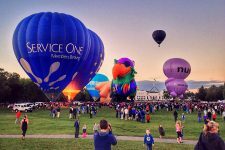 Win a $2,000 weekend in Canberra! 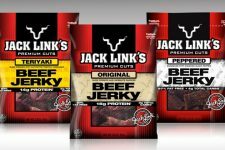 Claim Free Sample of Jack Links Beef Jerky!